A Tealight (or tea light) is a candle encased in a thin metal cup so that it can liquefy completely while lit. 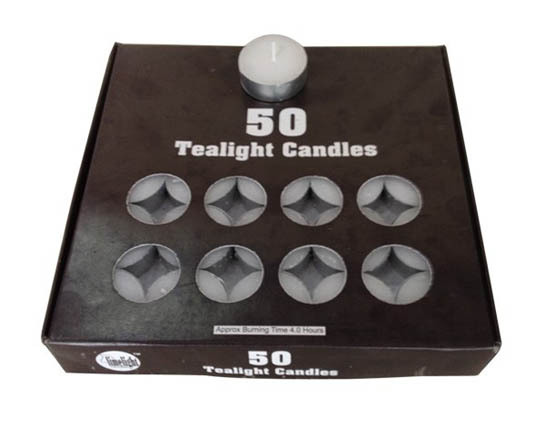 Tealights derive their name from their use in teapot warmers and these days mostly used for accent lighting and for heating scented oil. 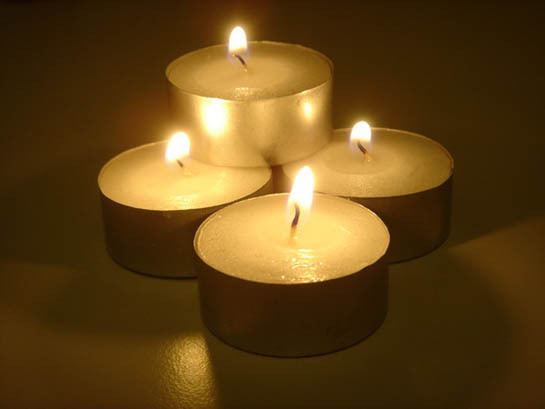 Tealight candles are usually small in size, circular in shape and wider than their height. Tealight candles are inexpensive and because of their small size and low level of light, many tealight candles can be burned simultaneously. Tealights may be floated in water for decorative effect.